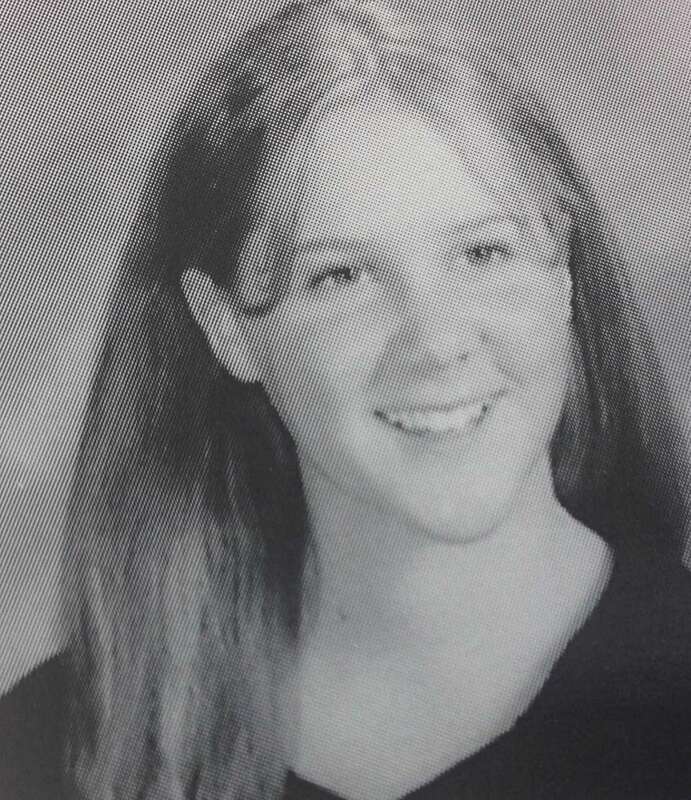 From being voted Class Clown at Rockville Centre's South Side High School in 1999 to her recent "Trainwreck" success, take a look at photos of Long Island native Amy Schumer through the years. "The Girl with the Lower Back Tattoo" by Amy Schumer. 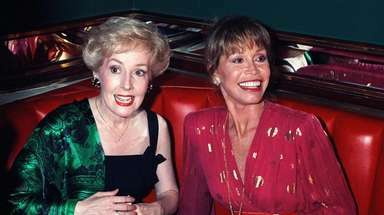 Gallery Books, Aug. 16, 2016. Amy Schumer and Ben Hanisch attend the GQ Men of the Year Awards on Sept. 6, 2016, at Tate Modern in London. Amy Schumer attends the gala, Manus x Machina: Fashion in an Age of Technology, on May 2, 2016, at the Costume Institute in Metropolitan Museum of Art in Manhattan. 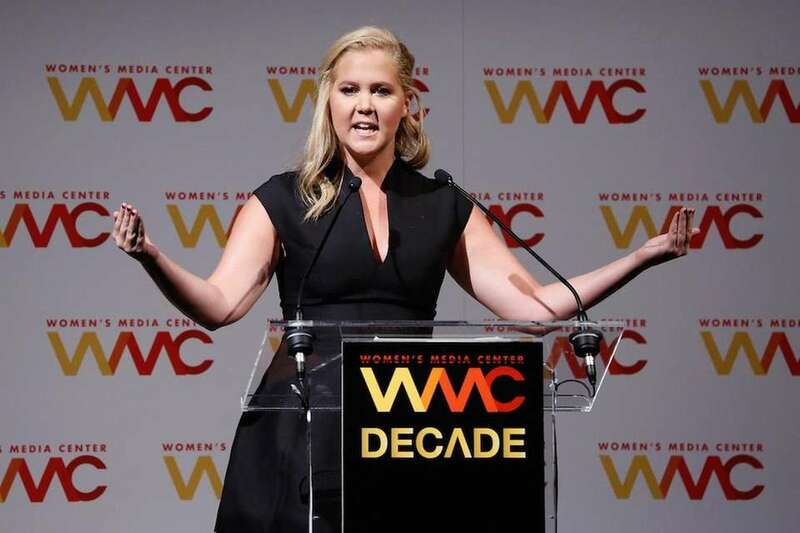 Amy Schumer onstage during The Women's Media Center 2015 Women's Media Awards in Manhattan on Nov. 5, 2015. 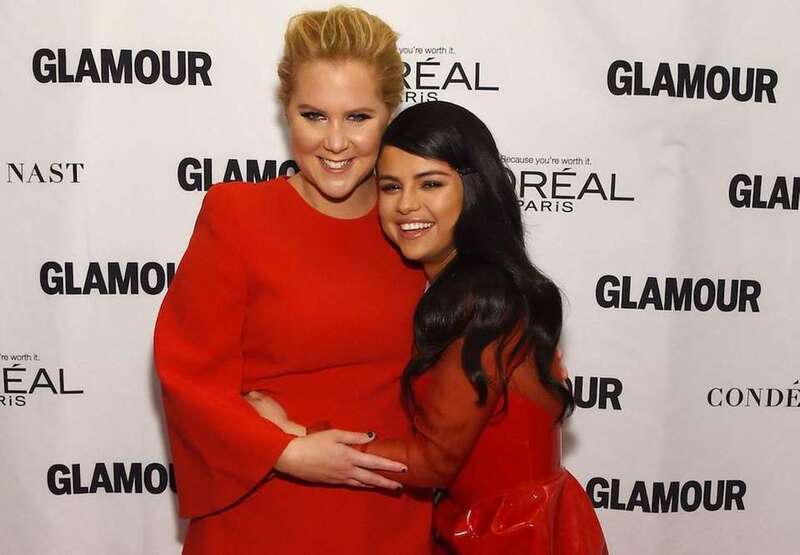 Amy Schumer and Selena Gomez attend 2015 Glamour Women Of The Year Awards at Carnegie Hall in Manhattan on Nov. 9, 2015. 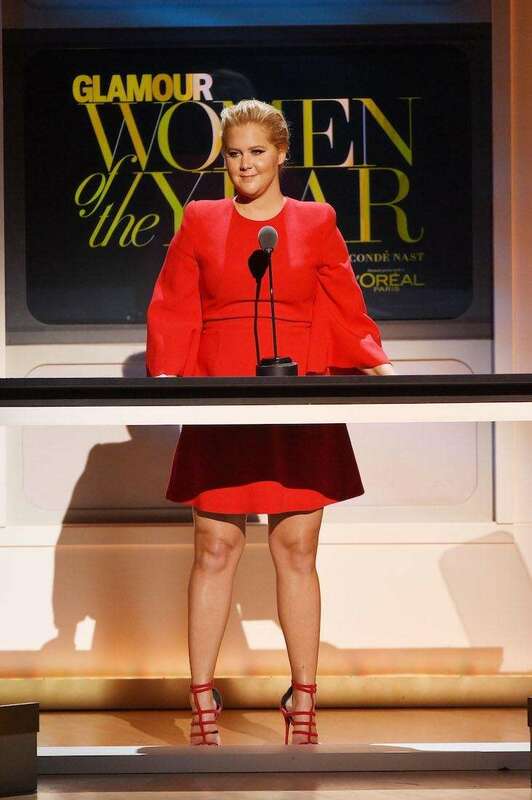 Amy Schumer speaks onstage at the 2015 Glamour Women of the Year Awards in Manhattan on Nov. 9, 2015. Amy Schumer, left, and her sister Kimberly Schumer attend the Academy of Motion Picture Arts and Sciences' 7th annual Governors Awards at The Ray Dolby Ballroom at Hollywood & Highland Center in Hollywood, Calif., on Nov. 14, 2015. Amy Schumer, left, and her sister Kimberly Schumer attend VH1 Big in 2015 With Entertainment Weekly Awards at Pacific Design Center in West Hollywood, Calif., on Nov. 15, 2015. Amy Schumer performs onstage as Baby Buggy celebrates 15 years with "An Evening with Jerry Seinfeld and Amy Schumer" presented by Bank of America -- Inside at Beacon Theatre in Manhattan on Nov. 16, 2015. 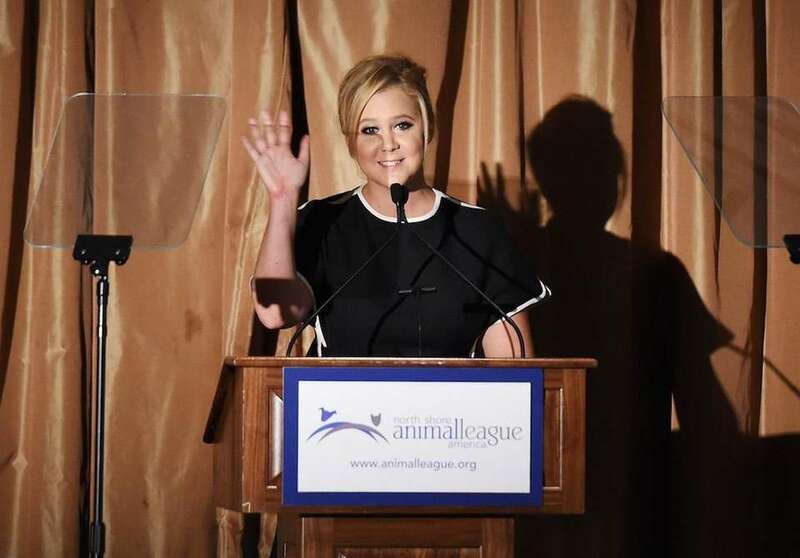 Amy Schumer speaks at the 2015 North Shore Animal League America Gala at The Pierre Hotel in Manhattan on Nov. 20, 2015. Amy Schumer attends the "Manus x Machina: Fashion In An Age Of Technology" Costume Institute Gala at Metropolitan Museum of Art in Manhattan on May 2, 2016. Amy Schumer speaks onstage during the Comedy Central Live 2016 upfront at Town Hall in Manhattan on March 31, 2016. 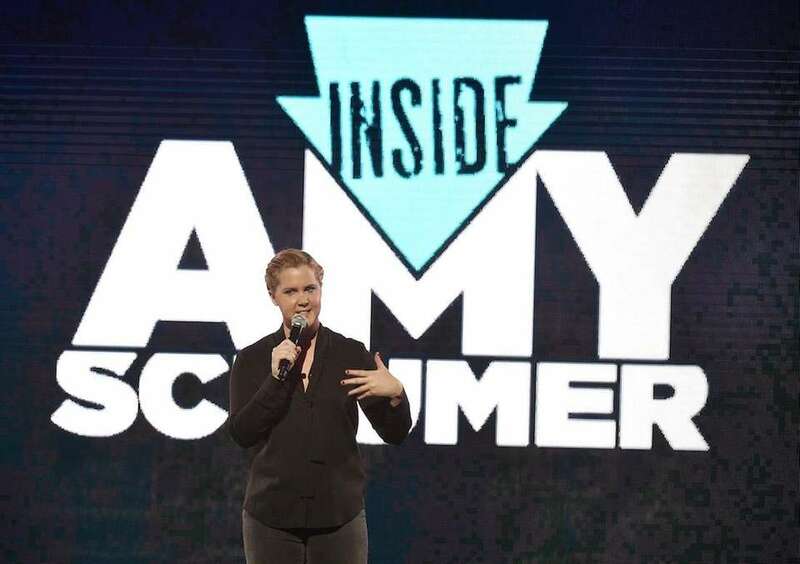 Amy Schumer in an undated promotional photo for her Comedy Central show, "Inside Amy Schumer." Amy Schumer on the cover of Vanity Fair's May 2016 issue. Amy Schumer speaks during the Comedy Central Live 2016 upfront at Town Hall in Manhattan on March 31, 2016. 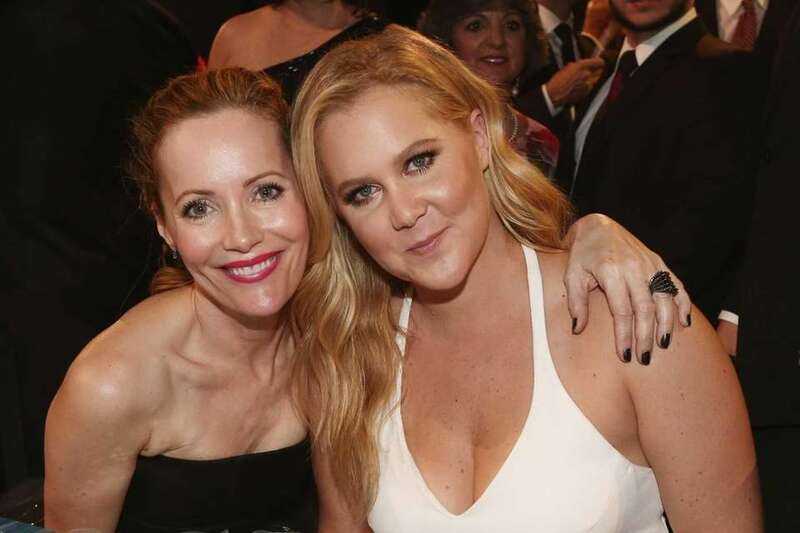 Actresses Leslie Mann and Amy Schumer attend the 21st annual Critics' Choice Awards at Barker Hangar in Santa Monica on Jan. 17, 2016. Amy Schumer accepts the award for best actress in a comedy for "Trainwreck" at the 21st annual Critics' Choice Awards at the Barker Hangar in Santa Monica on Sunday, Jan. 17, 2016. Amy Schemer and Jennifer Lawrence introduce their nominated films "Trainwreck" and "Joy" at the 73rd annual Golden Globe Awards at the Beverly Hilton Hotel in Beverly Hills on Sunday, Jan. 10, 2016. Jennifer Lawrence and Amy Schumer dance atop Billy Joel's piano during his concert at Wrigley Field in Chicago on Thursday, Aug. 27, 2015. Actress and stand-up comedian Amy Schumer sits in the East Room of the White House in Washington to listen to President Barack Obama speak about steps his administration is taking to reduce gun violence, on Tuesday, Jan. 5, 2016. 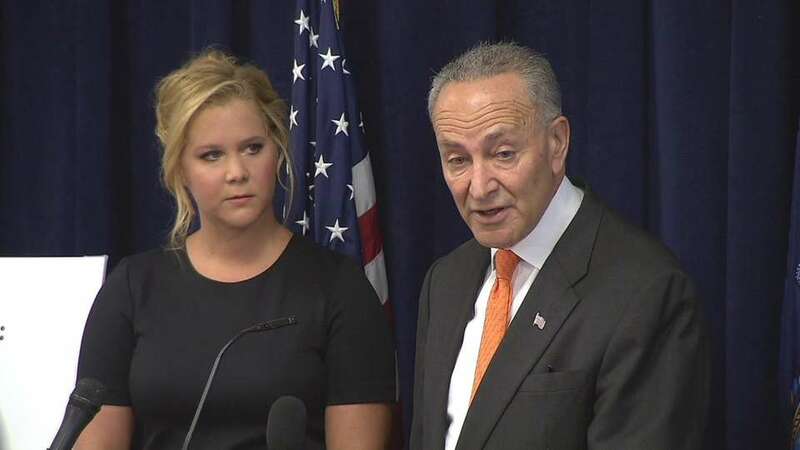 New York Sen. Chuck Schumer, with his cousin Amy Schumer, announces a new three-part plan to crack down on mass shootings and gun violence during a news conference at his office in Manhattan on Monday, Aug. 3, 2015. Amy Schumer, in tears as she speaks about a fatal shooting in Louisiana during a screening of her movie "Trainwreck," asks lawmakers to support a gun control bill sponsored by her cousin, New York Sen. Charles Schumer, during a news conference at his office in Manhattan on Monday, Aug. 3, 2015. Comedian Amy Schumer attends GQ's Men Of The Year party at Chateau Marmot in Los Angeles on Dec. 3, 2015. Amy Schumer arrives at the Hollywood Film Awards at the Beverly Hilton Hotel in Beverly Hills on Sunday, Nov. 1, 2015. Comedian Amy Schumer attends GQ's Men Of The Year party at Chateau Marmont in Los Angeles on Dec. 3, 2015. Amy Schumer at the Fairmont Miramar Hotel & Bungalows in Santa Monica on Sunday, June 28, 2015. Amy Schumer attends a "Trainwreck" photo call in Locarno, Switzerland on Aug. 8, 2015. Amy Schumer in the press room at the MTV Movie Awards at Nokia Theatre L.A. Live in Los Angeles on Sunday, April 12, 2015. Amy Schumer posted this picture to her Twitter account while in Australia promoting her movie "Trainwreck," on Sunday, July 19, 2015. Amy Schumer attends the 74th annual Peabody Awards at Cipriani Wall Street in Manhattan on Sunday, May 31, 2015. Amy Schumer pretends to trip and fall in front of Kim Kardashian and Kanye West at the Time 100 Gala celebrating the "Time 100 Most Influential People In The World" issue at Jazz at Lincoln Center in Manhattan on Monday, April 21, 2015. Amy Schumer, the writer and star of the film "Trainwreck," appears at CinemaCon 2015 at Caesars Palace in Las Vegas on Thursday, April 23, 2015. Amy Schumer arrives at the MTV Movie Awards at Nokia Theatre L.A. Live in Los Angeles on Sunday, April 12, 2015. Host Amy Schumer arrives for the MTV Movie Awards at Nokia Theatre L.A. Live in Los Angeles on Sunday, April 12, 2015. 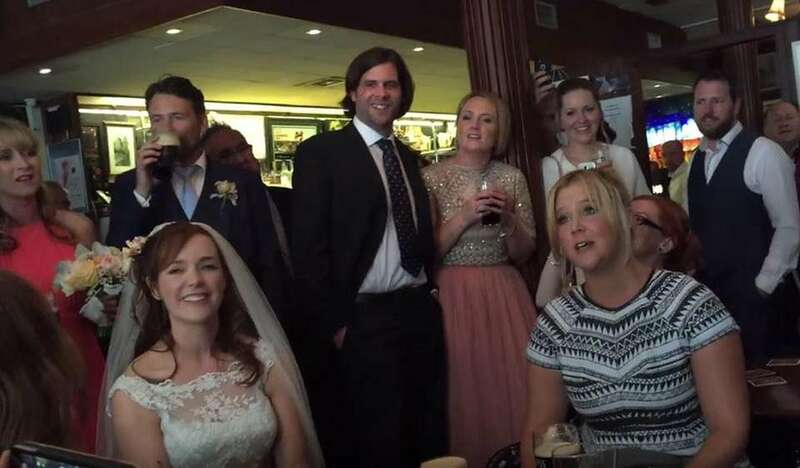 Amy Schumer, who with Judd Apatow crashed an Irish wedding celebration at a Dublin bar, appears with the newlyweds in August of 2015. Amy Schumer attends Elle's Women in Hollywood event at the Four Seasons in Beverly Hills on Oct. 19, 2015. 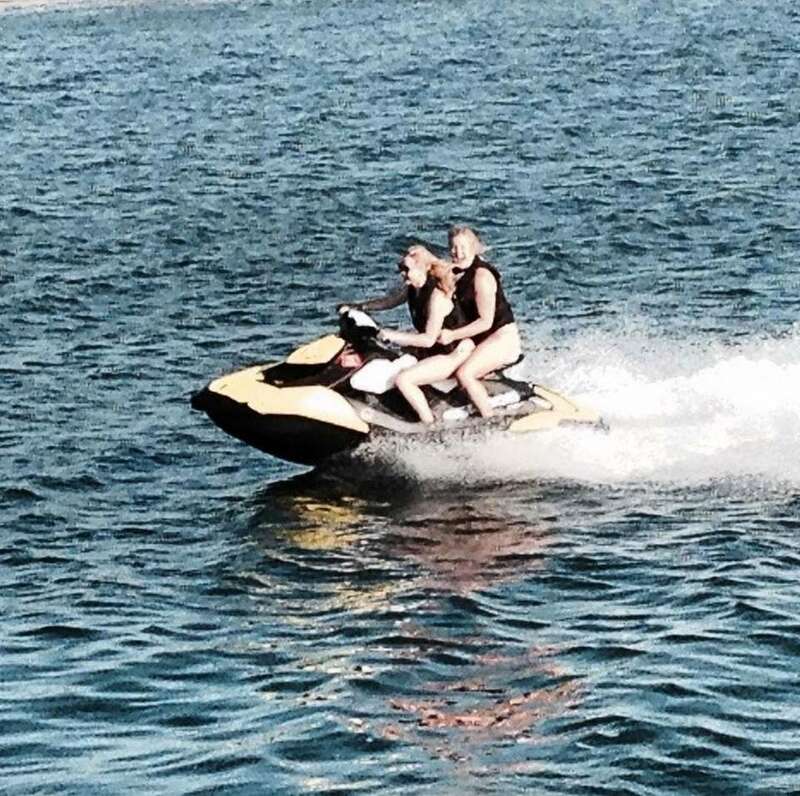 Jennifer Lawrence and Amy Schumer on a jetski in this photo Lawrence posted to her Instagram account @jennishrader in July of 2015. Jennifer Lawrence, front, and Amy Schumer ride a watercraft. 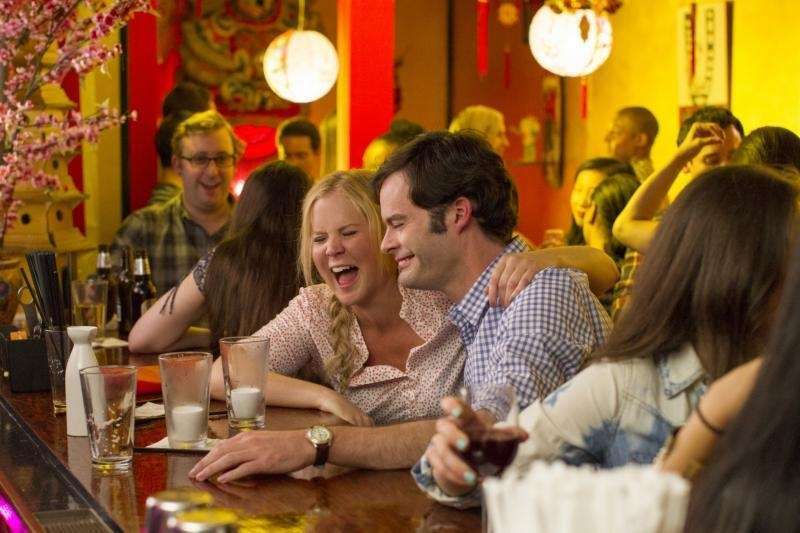 Amy Schumer (as Amy) and Bill Hader (as Aaron) go on a date in the film "Trainwreck." Amy Schumer and LeBron James in the comedy "Trainwreck." 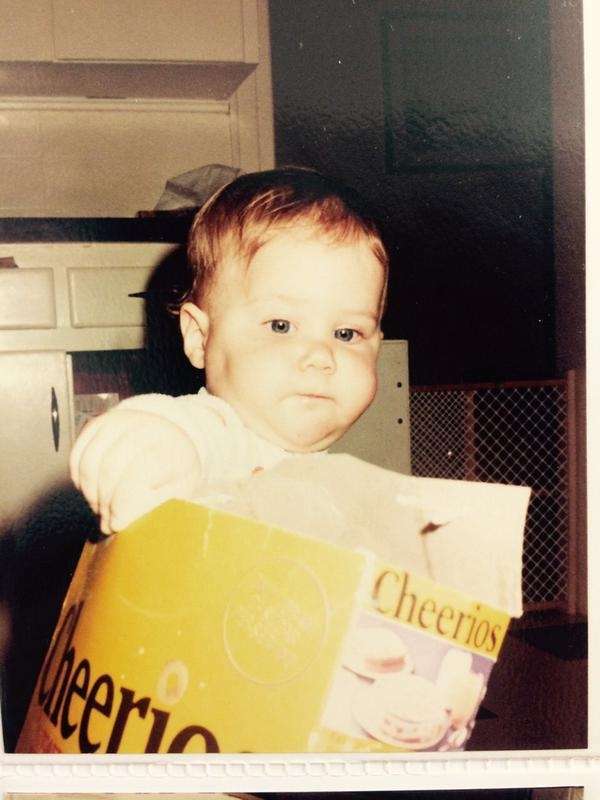 Amy Schumer in a scene from the film "Trainwreck." Amy Schumer, who has spoken about her father's struggles with multiple sclerosis, shared this photo with her father with the caption: "Happy day dad." Amy Schumer performs standup during One Kid One World's 3rd annual Night Of (At Least) 18 Laughs at Largo comedy club in Los Angeles on Sunday, April 27, 2014. Amy Schumer performs at Comedy Central's "Stars Under the Stars" at Central Park SummerStage in Manhattan on Friday, June 26, 2013. 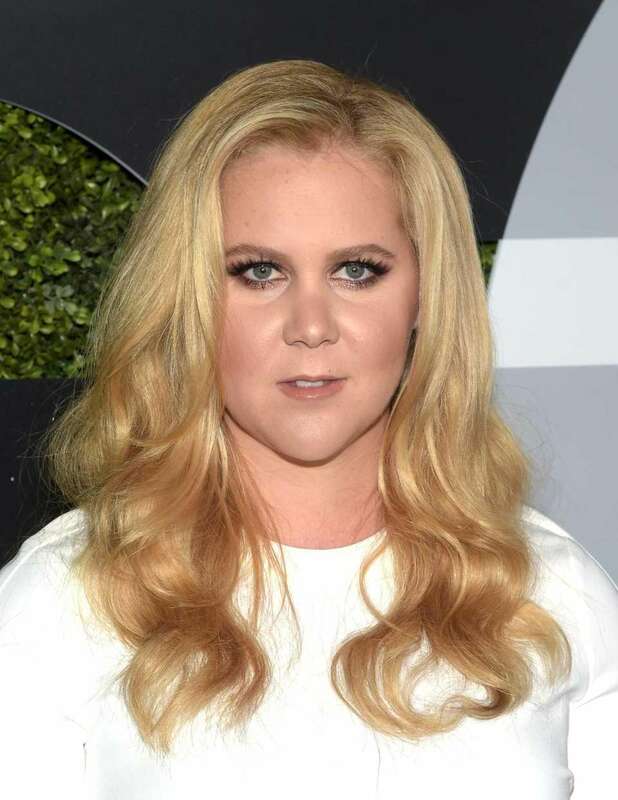 During her senior year at South Side High School in Rockville Centre, 1999 graduate Amy Schumer was captain of the varsity girls volleyball team, the lone female in the outdoor class and voted "class comedian" by her peers. For her yearbook, she chose this Ani DiFranco quote: "I was blessed with a birth and a death and I guess I just want some say in between." 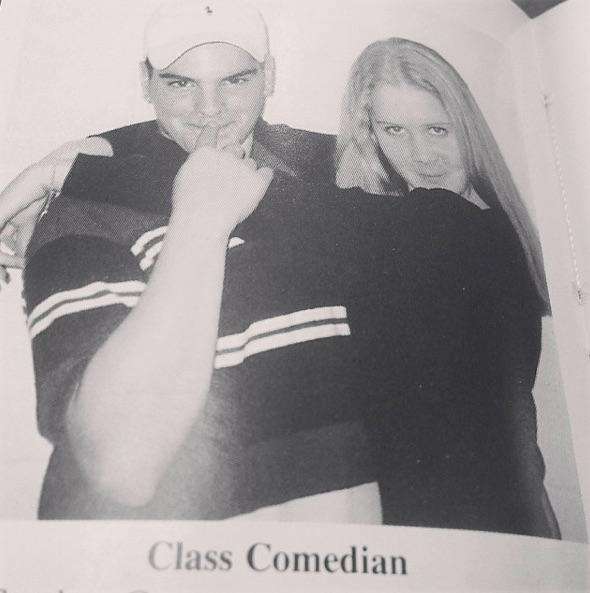 Amy Schumer in her "Class Clown" South Side High School class of 1999 yearbook photo. 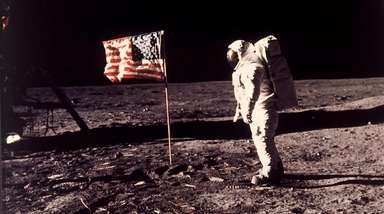 Photo courtesy of Amy Schumer. 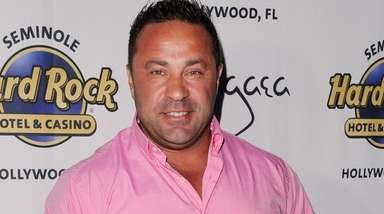 See more than 100 notable Long IslandersProminent people who have called Long Island home. Amy Schumer's New York: From apartments to favorite spotsIf Schumer is in Manhattan, she's probably at The Olive Tree.